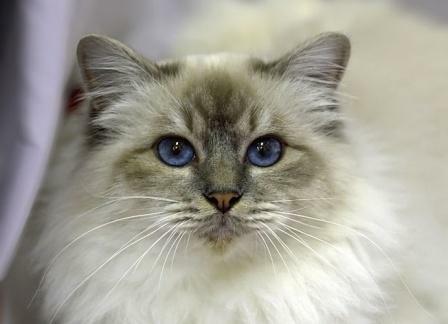 These pictures of Birman cats showcase the Sacred Cats of Burma, highlighting their magnificent coats, sapphire blue eyes and white mitted paws. 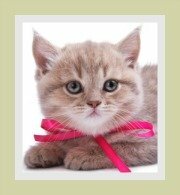 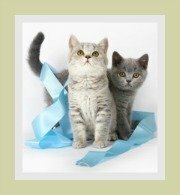 There are numerous legends and myths surrounding this cat breed and it makes for interesting reading. 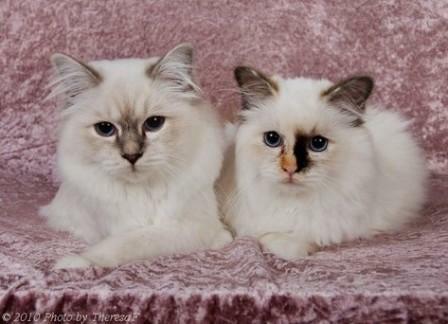 We runcover the truth about the history and origin of Birman cats. 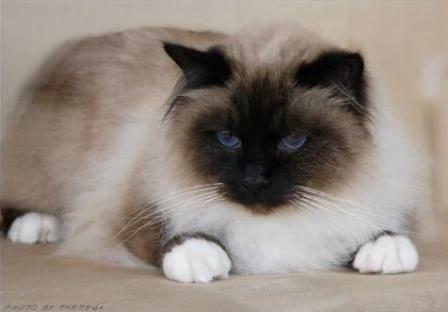 Whilst Burma, the land of their birth, is well known for its gems - rubies and sapphires, we believe its most prized gem is the Birman cat. 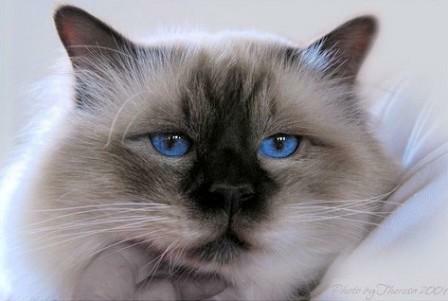 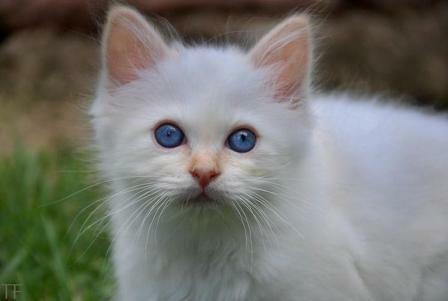 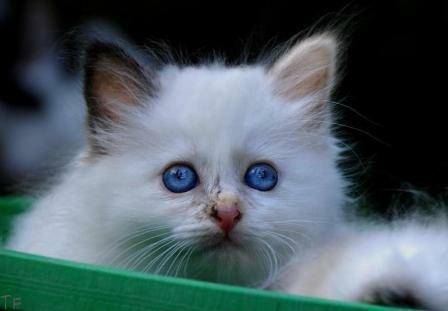 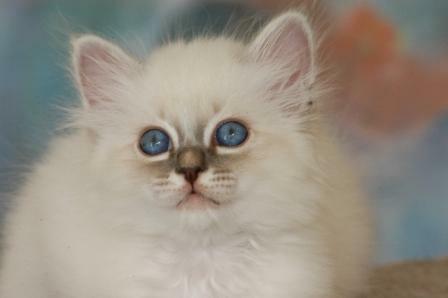 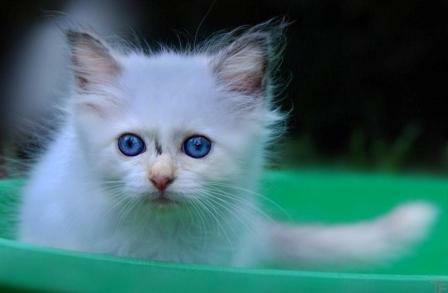 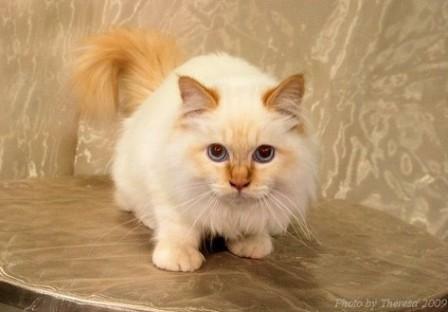 The Birman cat is a beautiful cat inside and out, they are affectionate and gentle cats and make wonderful companions. 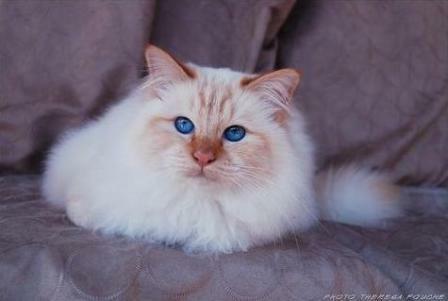 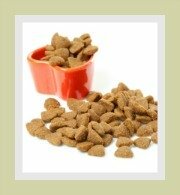 If you feel that this semi-longhaired cat breed is the ideal cat for you then we recommend that you visit the in depth profile on the breed. 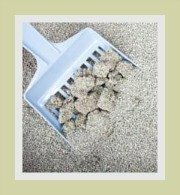 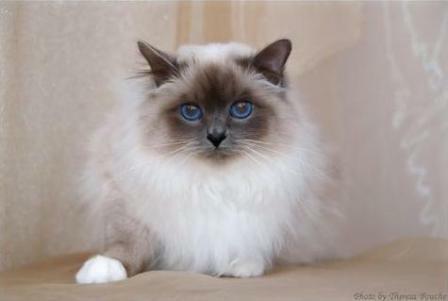 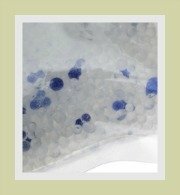 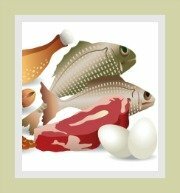 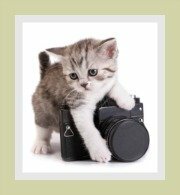 The Birman cats profile provides great facts about the cat's personality, ideal home, a guide to their nutritional requirements, how to groom longhaired cats and any health concerns that potential owners need to be aware of.